Mowing the yard might get easier—or rather, finding the right person to mow the yard for you. At least that’s the ambition of LawnStarter, an Austin, TX-based startup that wants to become the tool homeowners turn to when they need to find a local company to take care of their lawns. LawnStarter this week raised a $1 million seed round. Vayner RSE, the seed fund founded by Facebook and Uber investor Gary Vaynerchuk, participated in the round, as did an impressive list of Austin-area entrepreneurs and angel investors that includes RetailMeNot founder and CEO Cotter Cunningham, Capital Factory partner Rob Taylor, and former Rackspace senior vice president Pat Matthews. The company was founded in 2013 and is a Techstars Austin graduate. 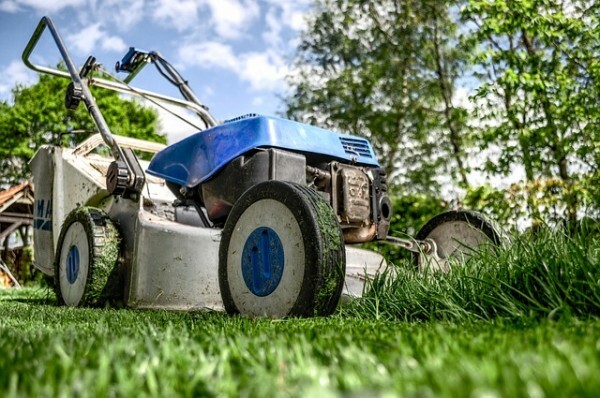 The entrepreneurs are going after a market for lawn care that’s surprisingly huge—landscaping and lawn maintenance is a $71 billion-per-year industry, according to data compiled by the Professional Landcare Network. LawnStarter co-founder and CEO Steve Corcoran says that about 36 percent of that is spent on the residential market, which is where LawnStarter will work. Across the board, the industry employs more than 880,000 people, and there are more than 401,000 companies in the industry, according the network’s data. LawnStarter creates a directory of lawn-care companies in an area. Homeowners can search the site, get a quote, and place an order. LawnStarter users also can manager their accounts, pay their bills, and order special services through the website or an app. Corcoran says LawnStarter will take a cut—he wouldn’t say how much—of the fee for enabling the transaction. The company also makes scheduling and billing software for lawn care companies, but Corcoran says the primary focus will be on the consumer-facing product. LawnStarter isn’t the only startup trying to get a foothold in the space. In San Diego, there’s a company named Lawn Love, which is a graduate of the Y Combinator and recently raised $1.9 million in seed funding. There’s also Nashville, TN-based GreenPal. Like any of the “marketplace” startups seeking to match consumers with service providers, LawnStarter has to attract and retain both customers and contractors. First, though, Corcoran says the startup has focused on finding and building relationships with lawn care companies. LawnStarter is going after signing up established companies with good reputations for consistent, quality service. In other words, not the middle-school kid down the block who’s looking for some extra cash. Many companies are finding their way to LawnStarter, Corcoran says, and more than 100 have signed up. He says the fact that LawnStarter’s founders have spent half a year researching the industry by talking to lawn-care companies, agriculture professors, and others before starting helps establish their credibility when they pitch contractors. LawnStarter will use the money to continue improving its software and improving its penetration in the three markets—Washington D.C., Austin, and Orlando, FL—that it serves now. Expansion also is on the company’s mind. “The big markets that are particularly interesting are SoCal, the rest of Texas, Florida, etc.,” Corcoran says. Whether LawnStarter will be ready to tackle those areas by this summer’s mowing season is to be determined, but he says the company will be in them by 2016.